There are many new programs that are about to hit the web and that also promise to be the ticket to making millions online. One such product is Fanpage Cashflow. While it doesn’t necessarily promise to make you millions, it does promise to teach you how to create Facebook fanpages to make a profit. Before you buy into this product I want to review it thoroughly so you understand all of the information that is given in this product so you can make an informed decision as to whether or not it is worth the initial investment. So without further ado, here is my honest Fanpage Cashflow review. Product Overview: What Is Fanpage Cashflow 2.0? All that this product is, is that it is a means to teach you how to utilize the popularity of Facebook fanpages as a means to boost the profit you get from your online or traditional business. That’s pretty much it. 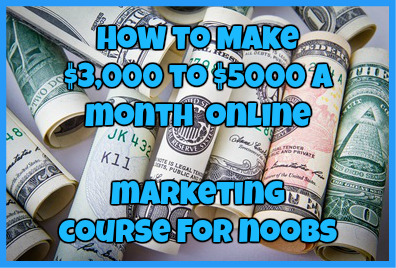 This program is created by Jamie Lewis and Matthew Neer, who are no amateurs when it comes to making money online. They both have created their fair share of products and programs out there and have both made thousands of dollars online. Well, the first thing that you need to understand is that when you use a Facebook fanpage, you are using it as a page to represent your brand as a whole, not as a general salespage which is what this product tells you to do. You want a Facebook fanpage to be used as a portal to other aspects of your online business. Above all it is supposed to be incredibly fun to use as it will be an entertaining and fun portal that you can use to interact with your business fans. Fanpage cashflow is specifically for those who already have both online or traditional business and who wish to increase their customer base by utilize Facebook as a means to do this. This is not a product that I would recommend to any beginner. When it comes to the support offered for this product, you can expect just the basics: a basic email ticketing system. However, if you are unsatisfied with the product in any way, you can simply call up Clickbank for a full money back guarantee which is always nice. But don’t expect to have direct contact with the owners to help you implement the strategies that you learn because that day will never come. This product is currently being offered at a price of $27, although you have to navigate a sea of upsells in order to reach this price which can be very annoying to say the least. I have been running my own online business for many years now and by no means have I ever used my Facebook fanpages as a sales page like this product recommends you to do. In order to gain an audience that trusts you and that is actively engaged in every post you write, you need to learn HOW to properly interact with your audience instead of trying to sell to them right off the bat. Also, if you really wanted to learn how to build and maintain a great looking Facebook page, you can find plenty of information on the subject online FOR FREE! With that being said, you can clearly see this is not a product that I really recommend. It is best to save your money and find the information you are looking for online for free. Have you tried Fanpage Cashflow 2.0 as of yet? What did you think of it? Let me know in the comments below. ← Paidverts Review: Can You Get Paid For Viewing Ads? You are very welcome. Thanks for the comment! I just read all the pro and cons….so where should I go for a free money making online. I recommend checking out my Wealthy Affiliate review. 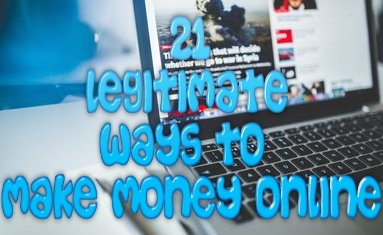 It is one of the only places I recommend to make money online and that is where I learned to do so when I knew nothing about the entire process. My name is Deryl and I would like to pick your brain about a number of things, all of them are business related, I own a domain name called athomecashstreams.com where I want to do what your doing, the problem is that I havent really made any money online except on ebay using a technic called arbitrage (take advantage of the price difference between two market places)in my case it was amazon and ebay, but I wasn’t passionate about it and I want to be true in what I deliver, people like me can’t find what really works online cause everyone is JUST about the dollar and I want to add true value to my subscribers once I launch my site can you teach me PLEASE!!!??!!! I am from Nepal.i got to know about Fan Page cash flow system from internet.and i would like to earn money from this program if this prgram is supported in my country. I do not know if Fan Page cash flow system is supported in your country.